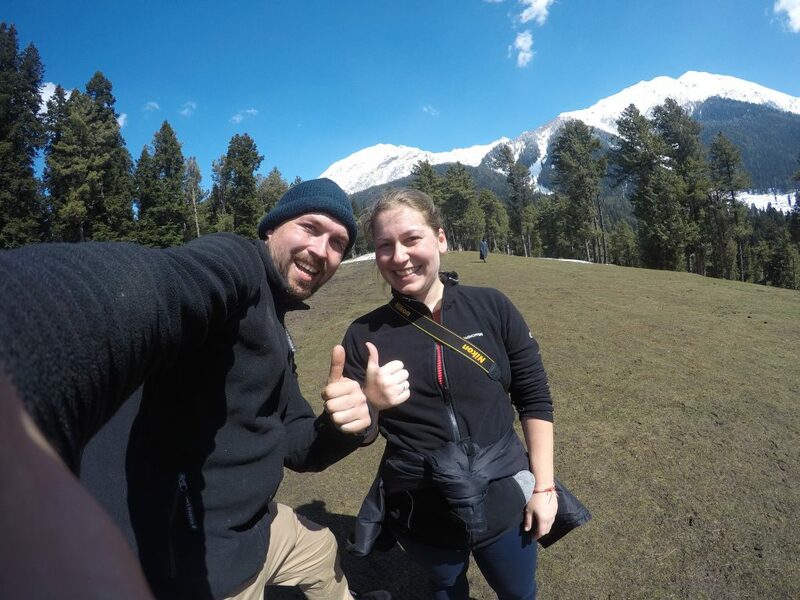 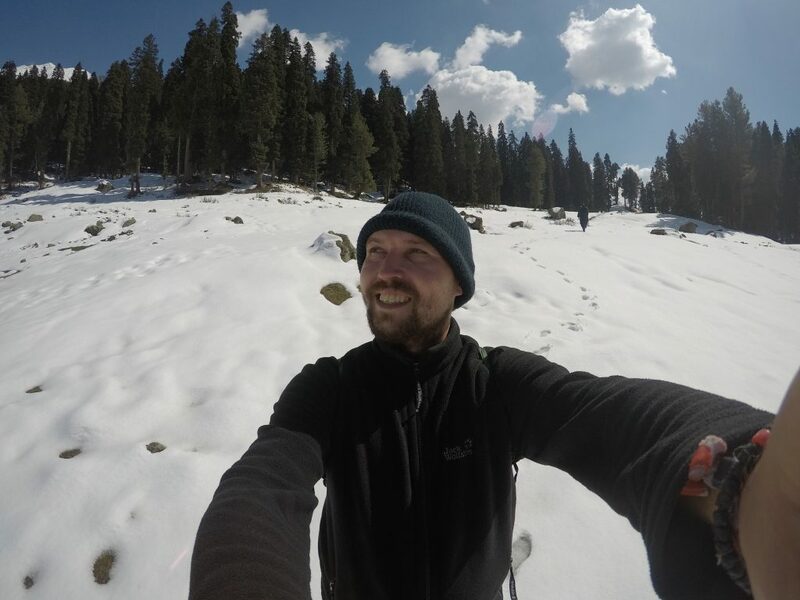 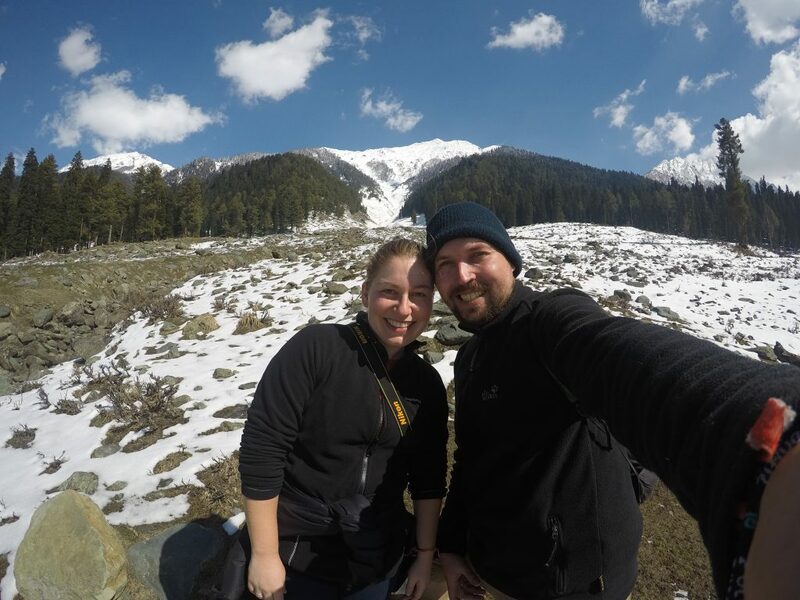 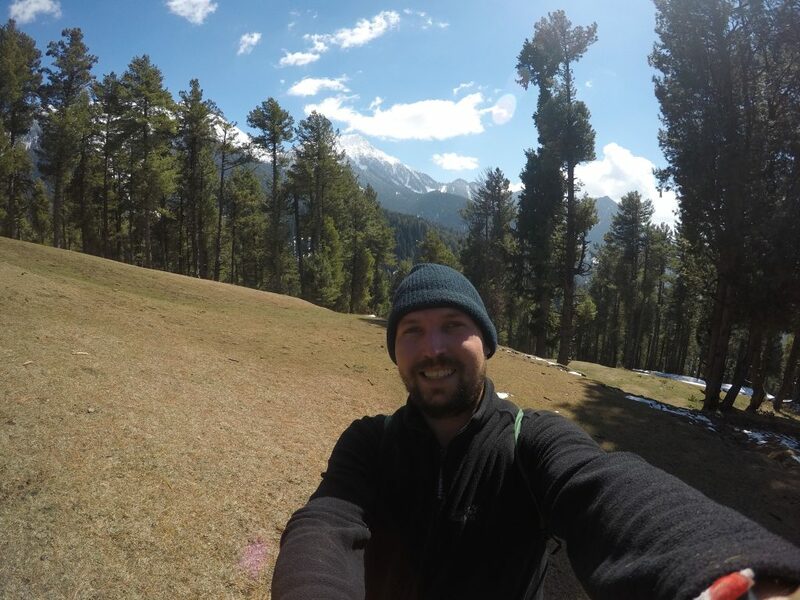 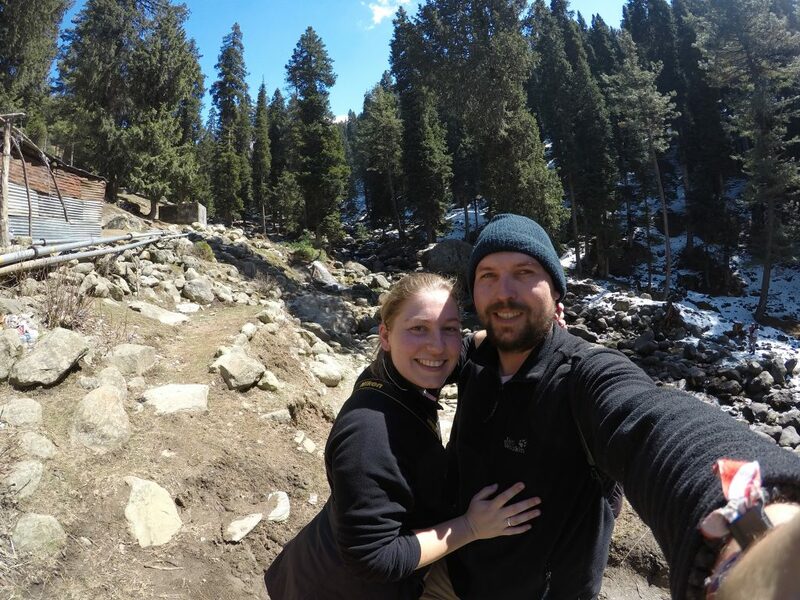 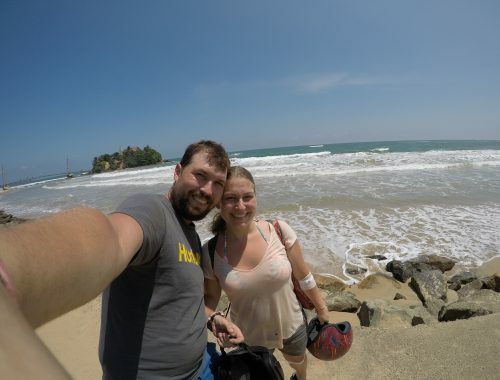 After wasting one day of our short time in the Himalayas we finally started our hiking tour next day. 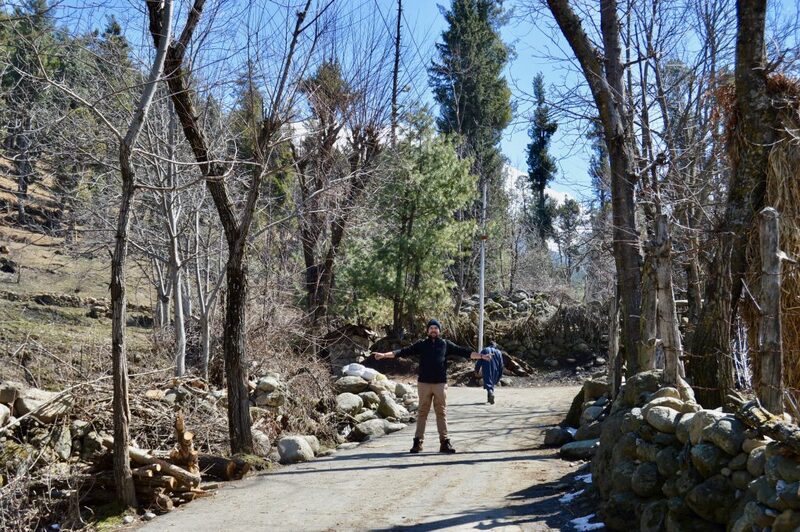 By car we drove about two hours to Pahalgam where we took a local guide for a day tracking in the Himalayas. 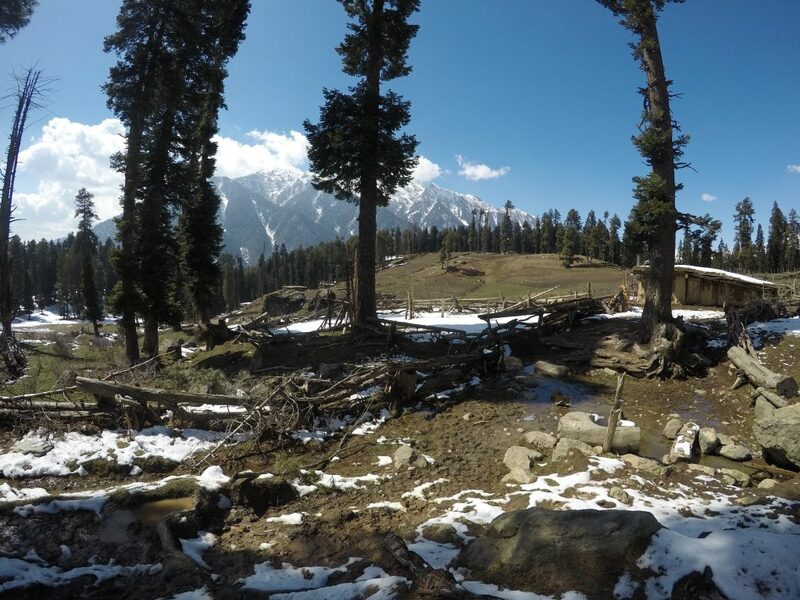 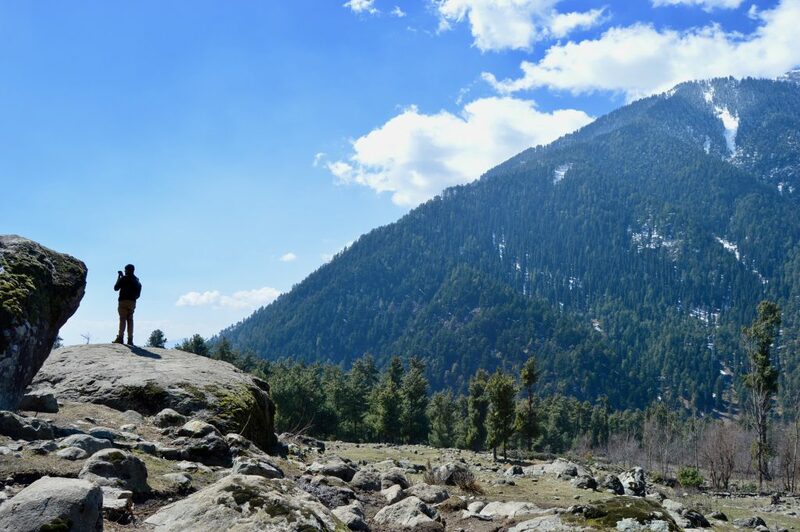 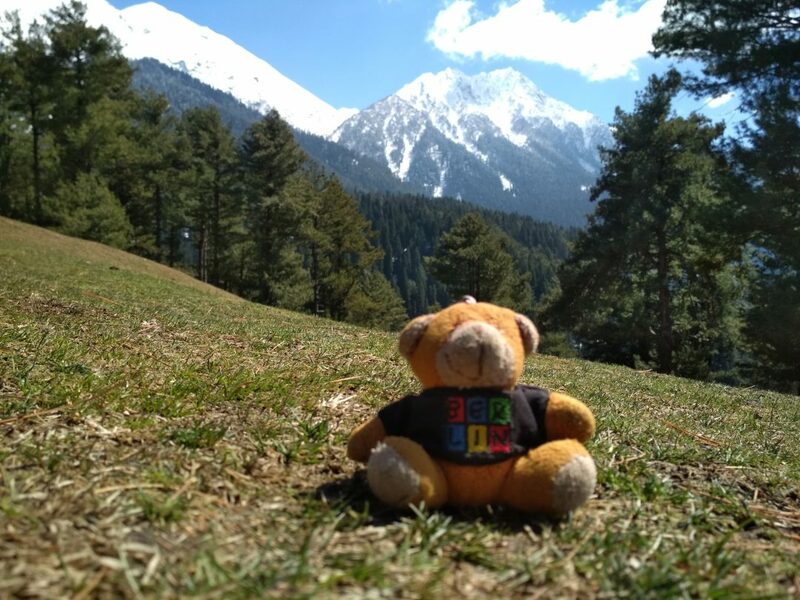 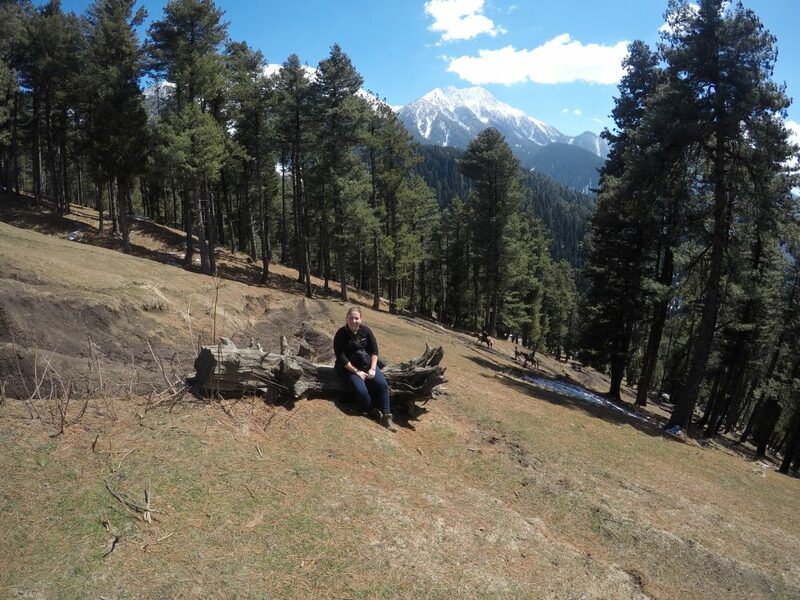 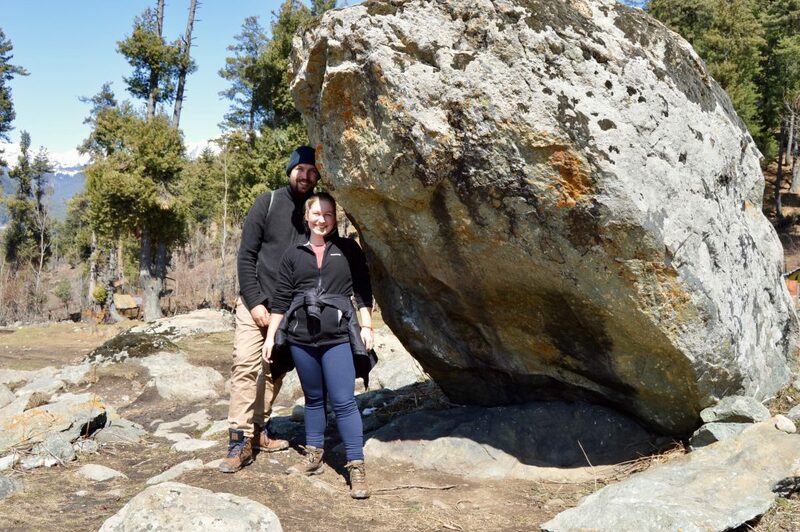 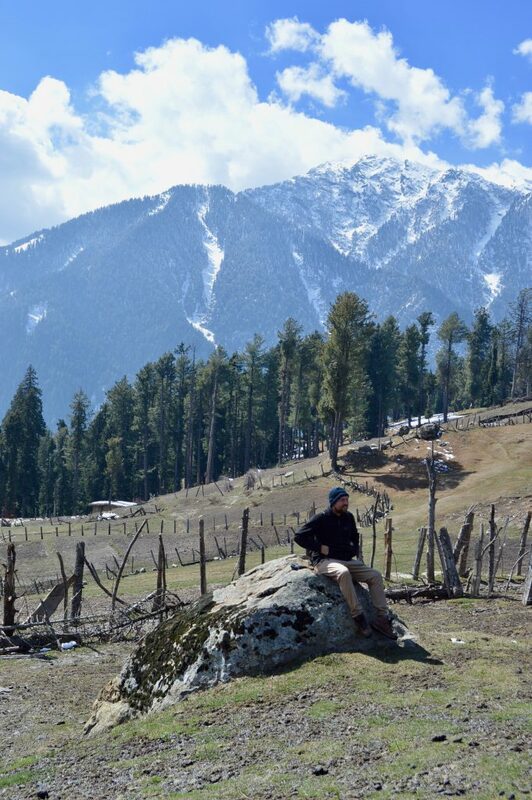 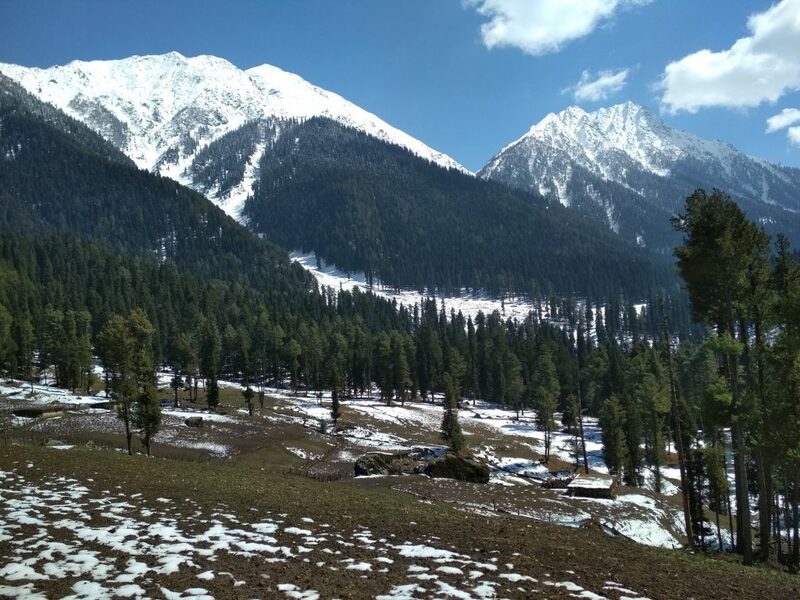 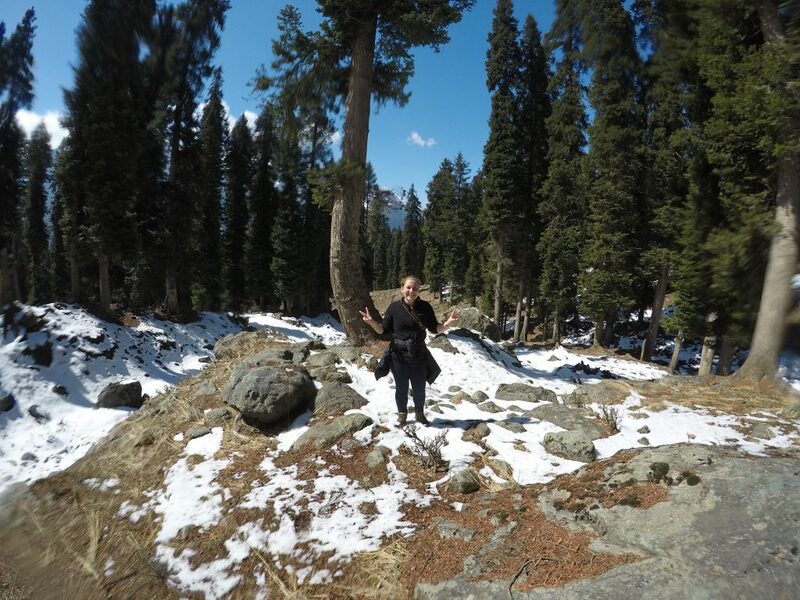 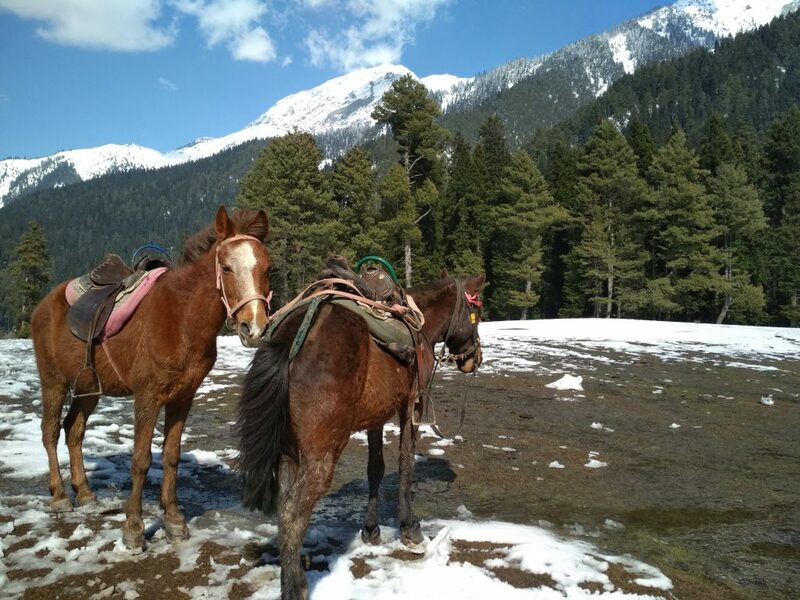 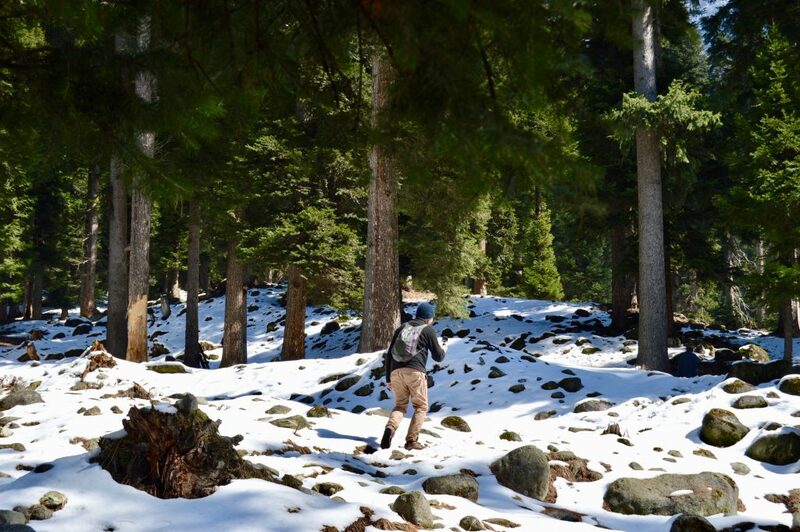 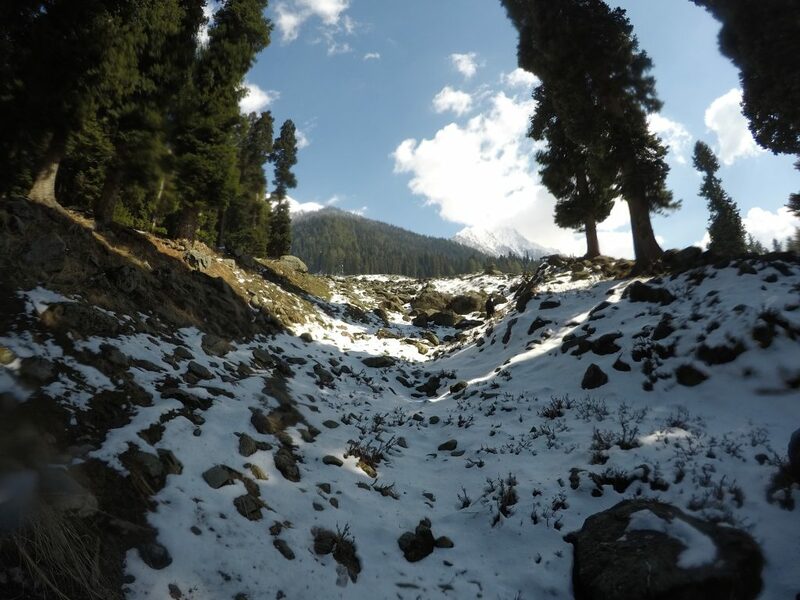 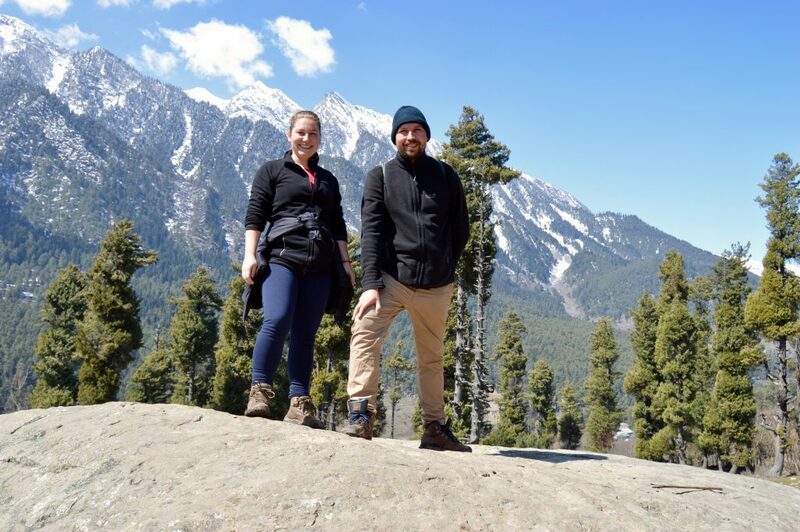 Pahalgam is located at about 3000m above sea level and we made it to about 3800m. 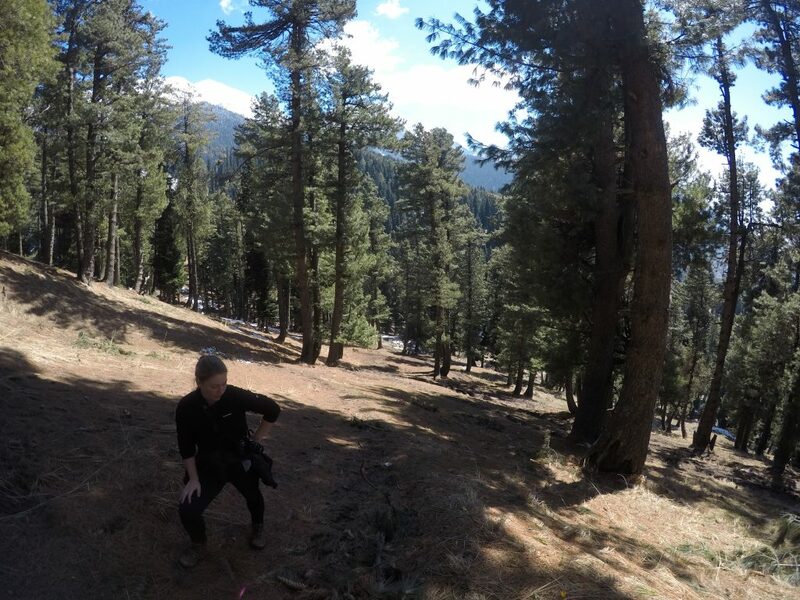 This gave us a good first impression, how challenging a future multiple day trip in the Himalaya will be. 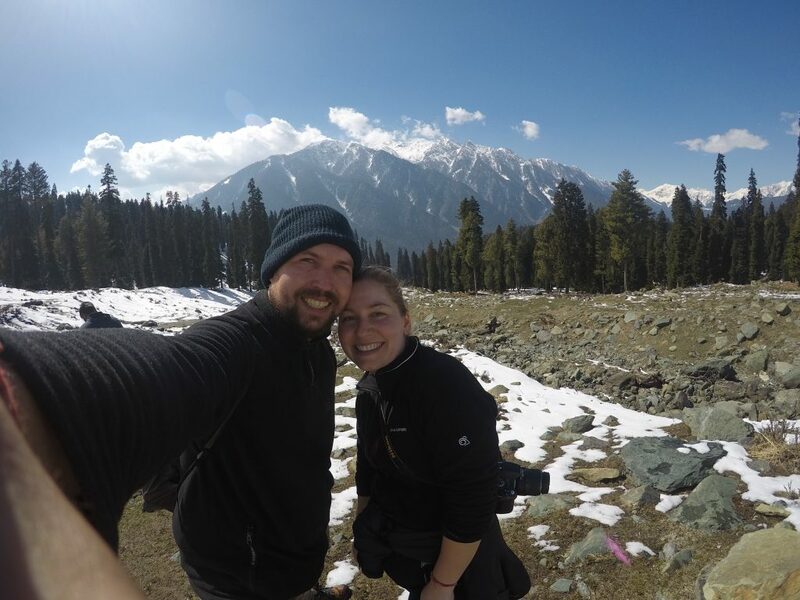 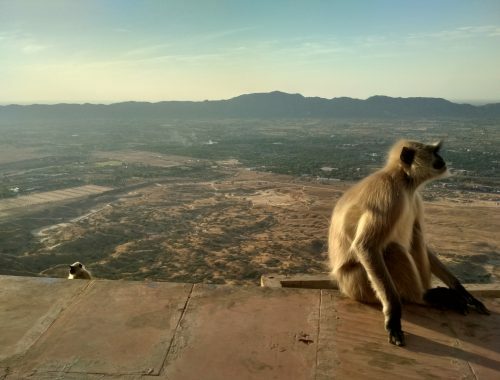 Tip: If you are interested in a multiple day hike with camping in India, most people will go to the Leh area where K2 is located. 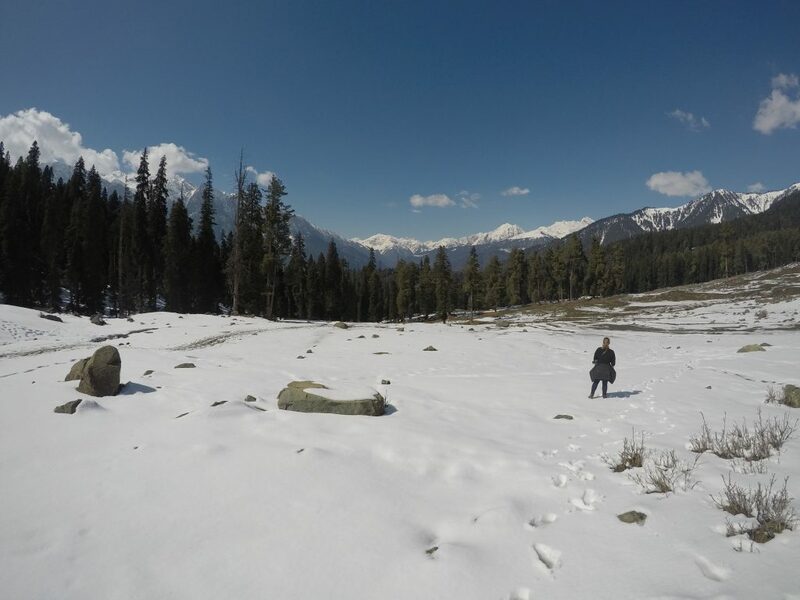 This area will just be reachable in between June and September. 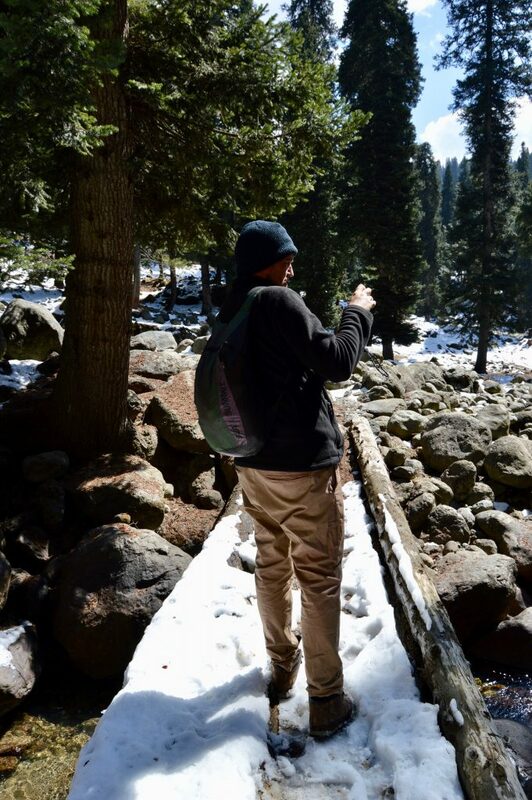 All other months the real high Himalaya areas of Kashmir are not accessible for hikes. 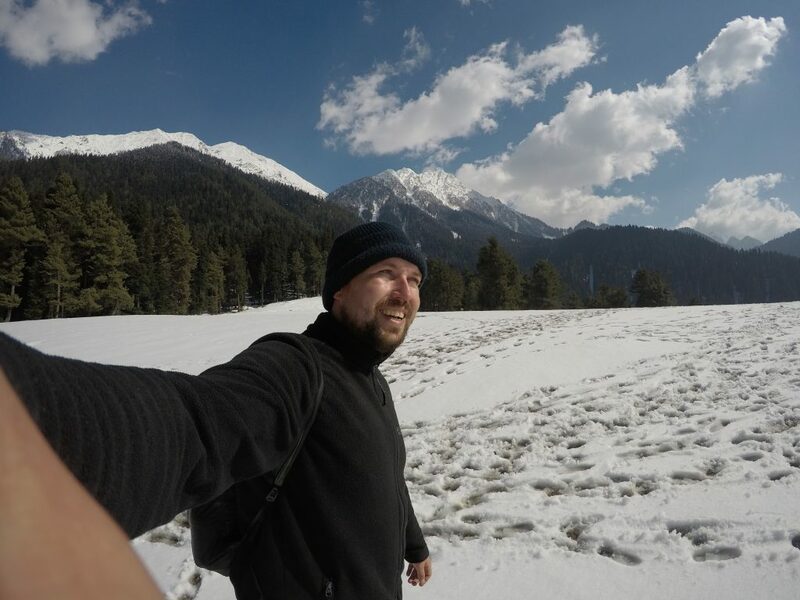 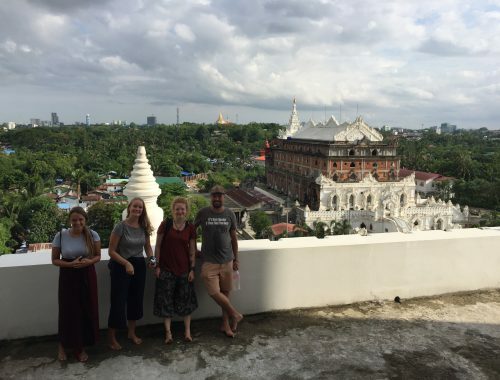 It is possible to do those summer tracks from Srinagar and set the house boats we were staying at in March (see Srinagar Report) as a basecamp. 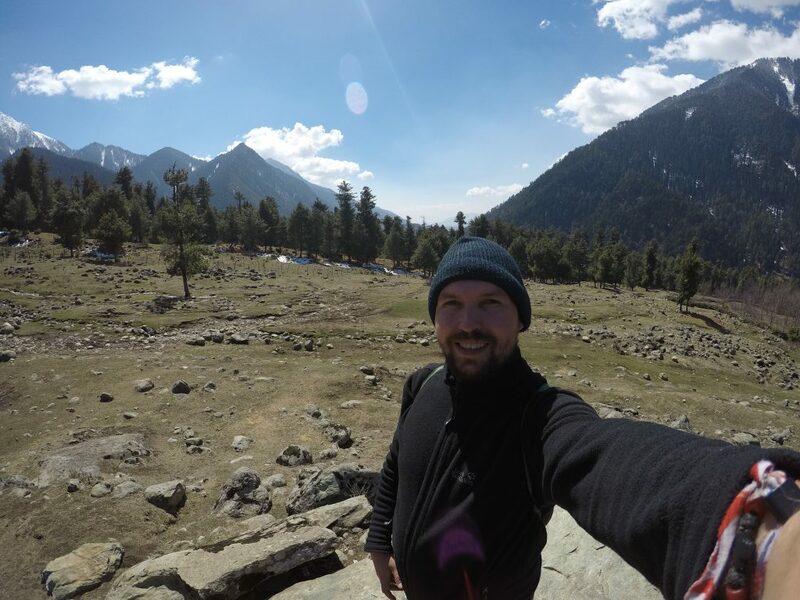 The owner of our house boat will be a guide for long hiking tours then (also Leh area) and even told us, that Reinhold Messner slept on his boat as a basecamp to climb K2 back in the days. 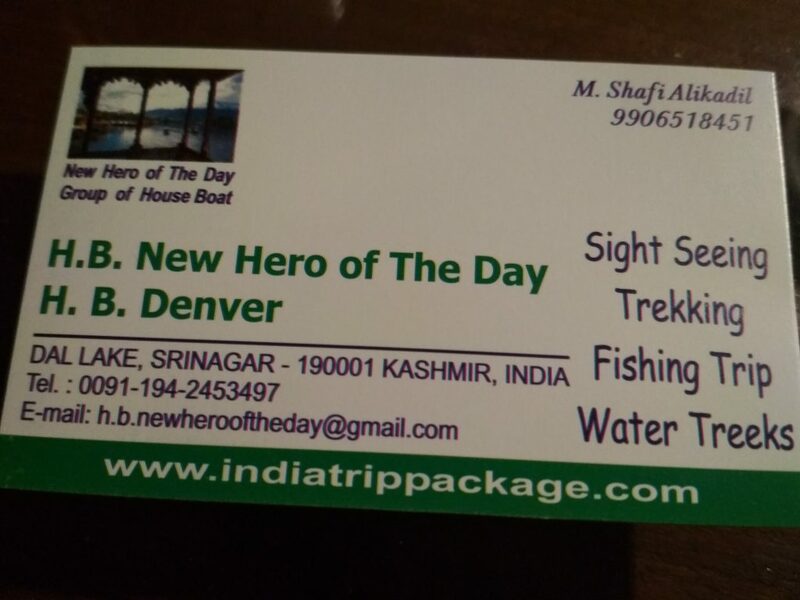 You can contact him directly via E-Mail – the prices will be local Kashmir prices without any agency in between. 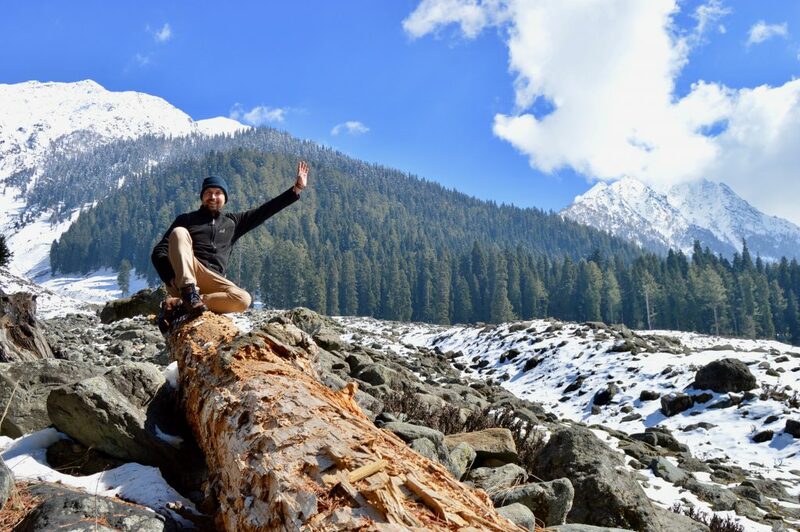 Please share your experiences, tips and tricks about Pahalgam in the comment section to help others!